Ayushmann Khurrana excited to work with this actress! 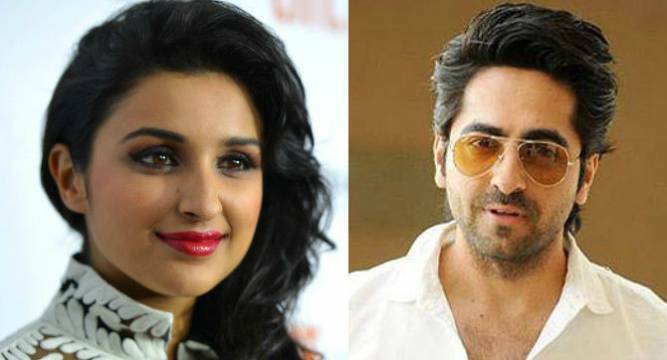 Bollywood actor Ayushmann Khurrana says he is excited to work with Parineeti Chopra in the forthcoming love story “Meri Pyaari Bindu”. The movie, backed by Yash Raj, was announced by Parineeti with a special video where she was seen singing a song. “I am really excited to work with Parineeti. I think she is one of the finest actress around. She’s very versatile too. And through this film you’ll get to know she sings well too,” Ayushmann told reporters. “Meri Pyari Bindu” is produced by Maneesh Sharma while Akshay Roy is making his directorial debut with the film. The actor was speaking on the sidelines of Kala Ghoda Arts festival where he was performing. Khurrana has lent his voice to many popular songs like “Paani Da Rang” from “Vicky Donor” and “Saadi Galli Aaja” from “Nautanki Saala”. The actor feels performing live gives instant reactions as opposed to working in films.